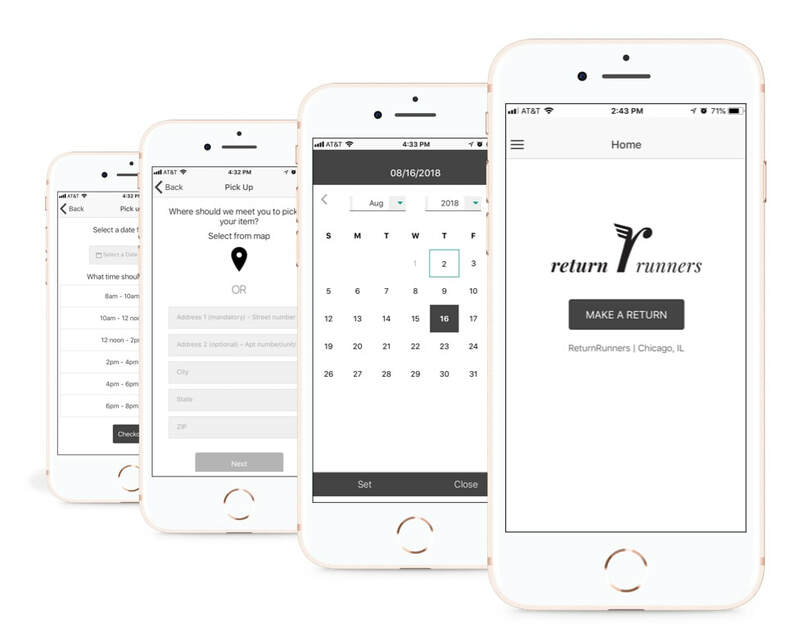 ReturnRunners™ is an on-demand, white-glove return service for retail merchandise based in Chicago. CEO Fara Alexander created ReturnRunners™ when she found herself working 70+ hours a week and noticed a pile of clothes with tags on them she meant to return for months. By using technology to make a difference to streamline disjointed reverse logistics processes and mitigate return fraud, the idea for ReturnRunners™ was born. 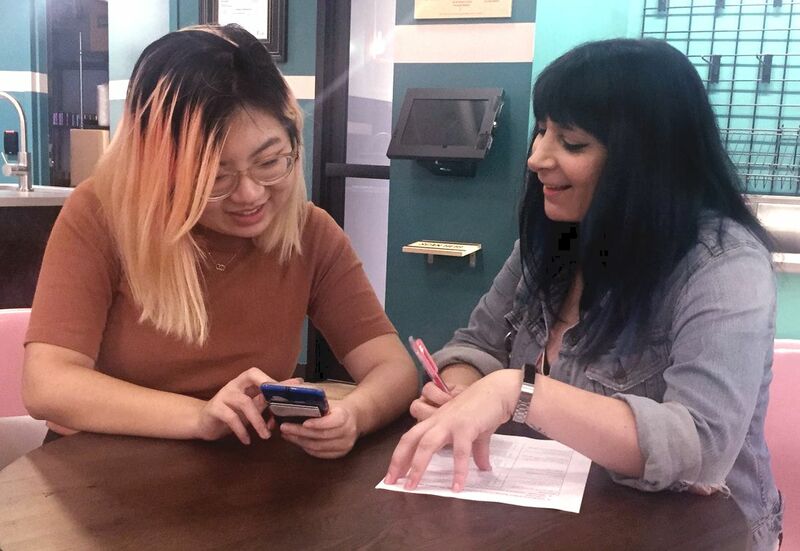 As one of four UI designers on a team, we had a three-week sprint to redesign the mobile app with the research and information provided by the UX team. ​As a team, we looked at the wireframes and synthesized how to create the perfect return experience for both the customer and the runner. Before our team branched out to explore individual styles, we developed a set of guidelines. We used these as the foundation of our personal design decisions. Our team incorporated these principles from our research finding and the client’s values and goals, to keep the runner in mind. Other users stated that the design looked clean, but still lacked an overall sense of luxury. The original gold color I chose had a green tint to it that wasn’t loved, so I updated the colors once again. Users were able to click through my prototype with ease. There were several disconnects with some of my image choices. I wanted to introduce an option of creating a carousel in the login screen. Instead of showing one image of a woman shopping, this was an excellent opportunity to showcase several photos of a city, bookstores and men and women. Adding a microinteraction here was an excellent opportunity to make the application more inviting. I immediately began to work with Fara to create a simple on-boarding process. A top frustration with the current customers is always entering their information every time they need a return. Here is an opportunity to save a customers name, address and payment options to ensure a quick return process. Another critical screen was the receipt screen function. At this time ReturnRunners™ isn't able to use a current API for the receipt process, so I sat down with the DEV team to work out a simple system to scan and input the items for a return. My initial font choices became a problem when we were getting ready to launch ReturnRunners™ new redesign. I've picked fonts not thinking about cost and usage. I had to go back and relook at fonts within the budget and rework the design.